There are times when we want to perform a process in Photoshop that affects only the highlights (brighter) portions of an image. 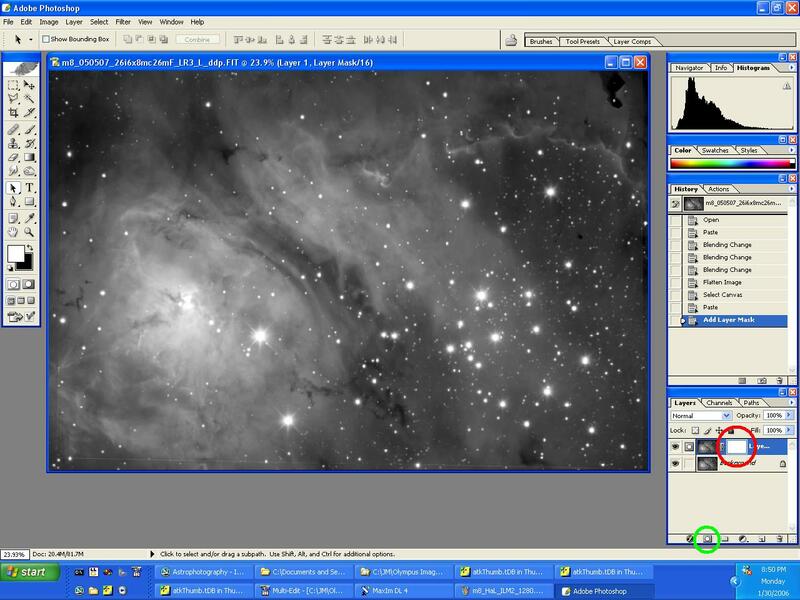 One way of doing this is to prepare an "positive" layer mask from the original image. 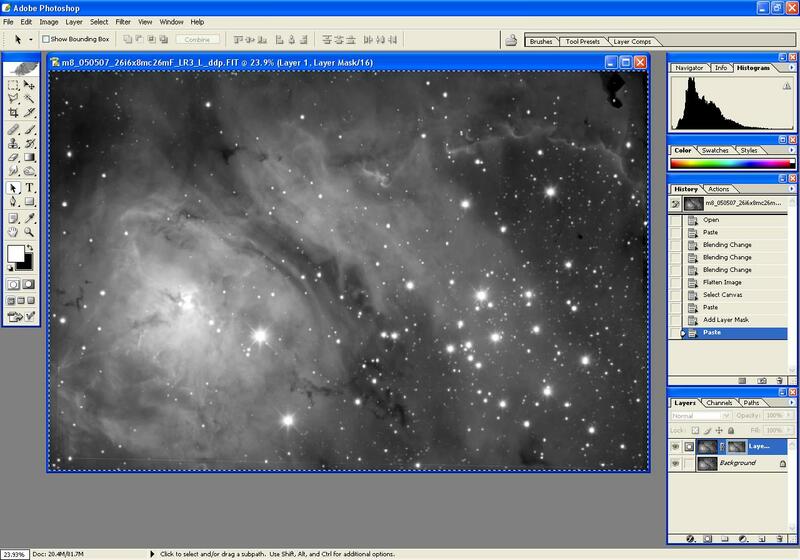 At the right is an image before invoking the Positive Layer Mask. 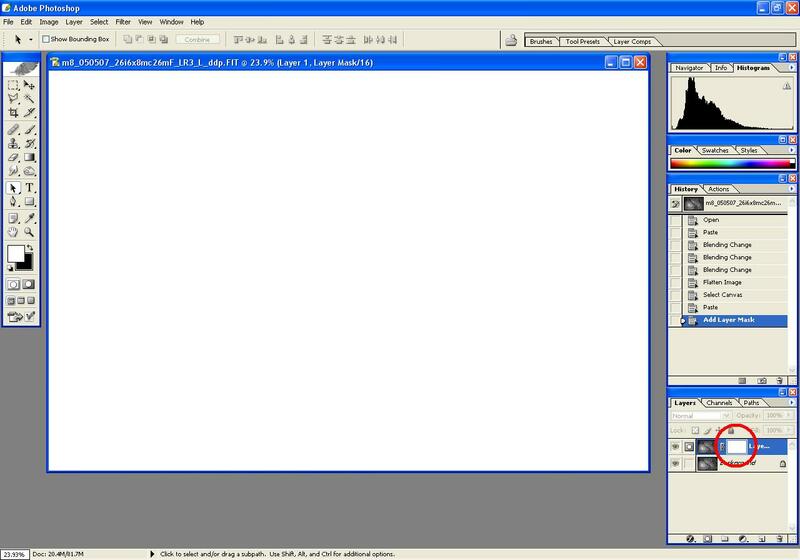 While the image looks the same, note that a new layer has been created (bottom right on the screen). Note: "Alt-Click" means hold down the Alt key while moving the mouse-pointer over the indicated area and clicking the left mouse button. Note that the visible image is now all white. White in a layer mask allows all of the associated layer to show through to the combined image. 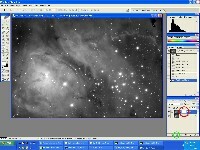 Note that the Layer Mask image will be monochrome, regardless of the color or monochrome state of the original image. This layer mask can now protect the darker areas of the layer from the effect of whatever Photoshop routine will be executed on it.